There is nothing better than professional haircare. 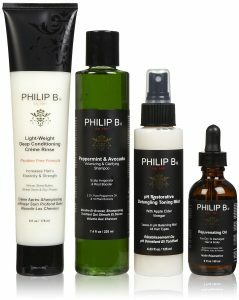 If you do not know how to do it, you will want to try regenerative set Four Step Hair & Scalp Facial Treatment by Philip B. The set holds Rejuvenating Oil, Peppermint & Avocado Volumizing & Clarifying Shampoo, Light-Weight Deep Conditioning Creme Rinse Classic and pH Restorative Detangling Toning Mist. The oil in Four Step Hair & Scalp Facial Treatment is dedicated for care of sensitive and oily scalp. It regulates work of sebaceous glands, moisturises, smoothers and softens. It has antibacterial and antiseptic properties, perfectly cleanses scalp and helps with dandruff. Thanks to the oil, hair are stronger and gain volume. 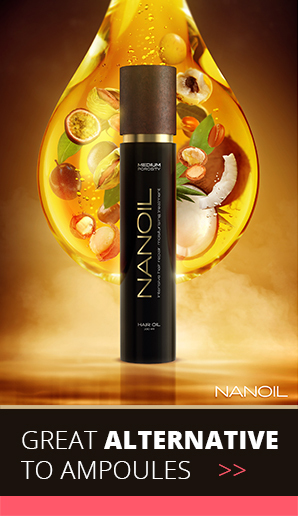 Rejuvenating Oil contains sesame oil, sweet almond oil, jojoba oil, lavender oil and geranium flowers extract. Use this cosmetic once a week on dry hair or four times a moth on normal hair. It is a mild shampoo with friendly to the scalp pH. It thoroughly cleanses and has aroma-therapy properties. Moreover, it cleanses hair, makes stylisation easier and improves blood circulation. 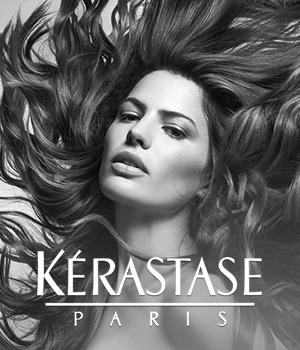 The strands are provided with natural gloss, deep moisture and elasticity. Apply it on wet hair, massage scalp and rinse off after about 3 minutes. In Peppermint & Avocado Volumizing & Clarifying Shampoo are among many: almond oil, jojoba oil, avocado oil and rosemary oil. This cosmetic in cream makes hair elastic, glossy and disciplines unruly strands. Stylisation and brushing are much easier. Besides, thanks to this product strands are stronger and more protected against external damages. Light-Weight Deep Conditioning Creme Rinse Classic by Philip B consists of Shea butter, sesame oil, protein, peanut oil and jojoba oil. Apply product at the half of length on clean and still damp hair; remember to thoroughly rub in cosmetic in strands. After 20 minutes wash it down. The Mist refreshes and ensures hair with shine. Thanks to it hair are easy to comb and style. These are smooth and glossy. Before use, shake the bottle and spray it on hair at the 15 cm distance. Then rub it in hair, towel dry and style hair as usual. In pH Restorative Detangling Toning Mist are among many: jojoba oil, lavender oil and peanut oil.